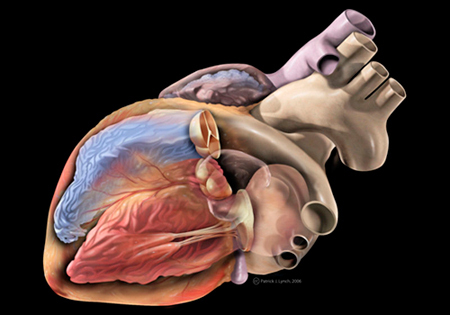 Cardiomyopathy is a condition caused by the weakening of the cardiac muscles and changes in their structure. It is usually associated with inadequate pumping of the heart muscles and impaired cardiac functions. Dilated cardiomyopathy, in which the heart is enlarged and weakened. Even the efficiency of the heart to pump blood is reduced. 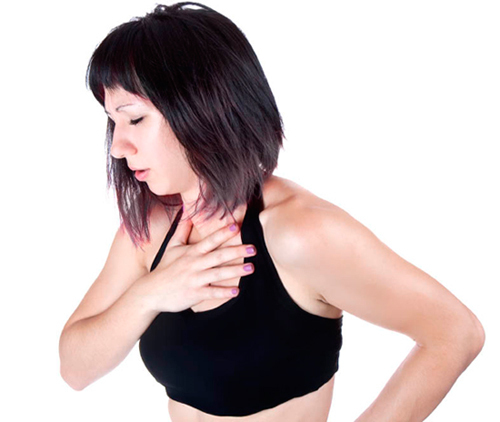 There are several disorders that lead to this form of cardiomyopathy. Restrictive cardiomyopathy is actually a group of conditions in which there is stiffening of the heart due to which the atria and the ventricles are not able to fill properly with blood. Hypertrophic cardiomyopathy or HCM is also a common form of cardiomyopathy in which there is thickening of the heart muscles. Due to this, it becomes difficult for blood to leave the ventricles, forcing the cardiac muscles to work harder to pump blood. This form of cardiomyopathy is genetically linked and often runs in families. – Increase the oxygen carrying capacity of the blood. – Increase partial pressure of oxygen in the different tissues of the body. – Manage disorders like air embolism and de-compression sickness. 2] Chelation therapy is also recommended for getting rid of heavy toxic metals like iron (especially in cases of thalassemia), plutonium, lead, mercury, arsenic, uranium and few other forms of metal poisoning. The chelating agents can be given orally or administered intramuscularly or intravenously. The route of administration depends on the chelating agent used and the type of poisoning. The project director also advises using both Hyperbaric oxygen and chelation therapy before Regenerative Tissue Therapy (cells). The reason behind this recommendation is that the infused Regenerative Tissue Therapy (cells) then have better chances of getting accepted and engrafted in the organs and tissues. This helps in faster repair of the damaged tissues. This way, the benefits achieved by Regenerative Tissue Therapy (cells) can be optimized. However, the need of these therapies can be determined depending on an individual case. Ischemic cardiomyopathy with old myocardial infarction (MI) as a result of coronary artery atherosclerotic disease. The number of segments with transmural extent of hyperenhancement greater than 51% should be. Ex1. Infarcted part with or without a bypass graft. Ex2. No relation with the number of grafts. Ex3. In case of multiple MI, an indication for higher infarct volume. Basic Overview: Some basic principles that should be followed before starting Regenerative Tissue Therapy (cells) (in case of frozen Regenerative Tissue Therapy (cells)) are given below. – The frozen Regenerative Tissue Therapy (cells) should first be thawed in a warm water bath at 37o C by continuous agitation. – Care should be taken to prevent the Regenerative Tissue Therapy (cells) from getting exposed to bright light during the thawing process. – The Regenerative Tissue Therapy (cells) should then be collected in a syringe with the help of a wide bore needle (No. 18). This helps to prevent damage to the delicate Regenerative Tissue Therapy (cells). The syringe must be covered with a tape so as to prevent direct exposure to light. – A 23 gauge needle is often used for the infusion. The infusion should be administrated in dim light, slowly over a period of 3 to 5 minutes. – Look out for immediate transfusion reaction throughout the process. The dosage of Regenerative Tissue Therapy (cells) to be infused varies between 30-100 million in number, to achieve the desired response. A lower dose of 1 million can also be sometimes adequate to achieve positive results. Intravenous administration of the Regenerative Tissue Therapy (cells) is recommended in most cases. However, in some specific disorders; intra-arterial, intrathecal, sub-dural, subcutaneous, intramuscular, intraocular and sub-arachnoid routes are recommended. Direct on-site implantation of the Regenerative Tissue Therapy (cells) exactly at the site of injury may also be done in some cases. Special interventional techniques can be used for on-site infusion of the Regenerative Tissue Therapy (cells). The final decision regarding the mode of administration and dosage of the Regenerative Tissue Therapy (cells) should be taken depending on the cause and the extent of the ailment. It also varies depending on an individual case. Each particular dosage of umbilical Regenerative Tissue Therapy (cells) must be preceded by GM-CSF a day before their infusion. The recommended dosage is 5 microgram per kg wt for adults and 2.5 microgram per kg wt for children. – Patients do not develop all of the possible side effects after the therapy. – In most cases, these adverse effects last for a short duration and are reversible. They resolve after the therapy is over. – The onset and duration of adverse effects can usually be predicted. – There are ways to prevent and minimize these side effects. – There is no effect of the occurrence of these side effects and the severity with which they occur on the beneficial outcomes of the treatment. – After the administration of the 1st dose of GM-CSF, the patient may feel dizzy and develop fast heart rate, low blood pressure, lightheadedness and flushing. This is known as the “first-dose effect”. This reaction does not occur after future doses. Once the exact cause of dilated cardiomyopathy is detected, efforts should be aimed at managing that problem (for example, stopping cocaine use and alcohol). However, in most cases, no specific cause can be detected. 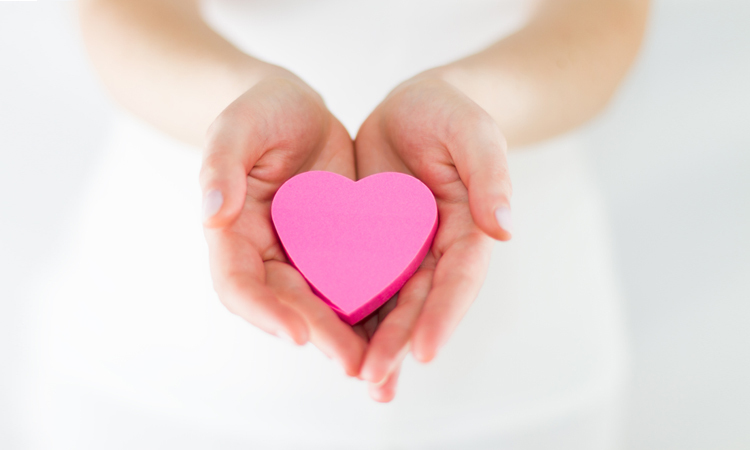 The overall therapy of cardiomyopathy is aimed at preventing and treating heart failure. However, each form of cardiomyopathy is managed differently. Broad guidelines for the inclusion and exclusion criteria for eligibility are given below. But, the final decision to conduct Regenerative Tissue Therapy (cells) for any patient can be taken by the project director on a case to case basis after considering some exceptions to these guidelines. It is advisable to use umbilical cord and cord blood derived Regenerative Tissue Therapy (cells) instead of autologous Regenerative Tissue Therapy (cells) that can be derived from other sources like bone marrow, peripheral blood, skin, adipose tissue, cornea, liver and small intestine. But, the final decision should be taken only after studying and comprehensively deliberating the past medical history of the patient. The selection of the Regenerative Tissue Therapy (cells) to be used, their dose, route of administration and the sources for the same should be decided on a case to case basis. It is recommended that GM-CSF should be administered before beginning the treatment as it helps to mobilize the autologous Regenerative Tissue Therapy (cells) from the bone marrow of the patient, which ensures that they act synergistically with the transfused cells. – CD 34+ cells mentioned here for the purpose of the discussion are the cells that are akin to hematopoetic cells that carry CD 34+ markers derived from cord blood following isolation using cell sorting and magnetic bead methods. – Mesenchymal Regenerative Tissue Therapy (cells) mentioned here for the purpose of the discussion are the cells that are akin to total nucleated cells, which are derived from the cord lining procured after exhaustive processing. 32-80 million Mesenchymal Regenerative Tissue Therapy (cells) +10 to 40 million CD 34+ cells over a duration of one year. Duration of the therapy: 8-20 million MSCs + 2.5 to 10 million CD 34+ cells over a duration of three months (together with GCSF a day before Regenerative Tissue Therapy (cells)). Approximate total dosage of Regenerative Tissue Therapy (cells) should be 100-200 million to achieve a favorable response. About 150-200 ml of bone marrow should be collected in a blood bag under aseptic conditions using general anesthesia in an OT. Regenerative Tissue Therapy (cells) are then processed and isolated as per the standards set by GLP and GMP. The final quantity is 5-10 ml. It should be administered intravenously within 6-8 hours of its collection. Since the Regenerative Tissue Therapy (cells) thus derived cannot be tested for bacterial infections, an antibiotic cover is recommended before the therapy. About 150-200 ml of adipose tissue should be procured in a blood bag by performing a liposuction under general anesthesia. The procedure should be performed by a plastic surgeon in an OT. Regenerative Tissue Therapy (cells) are later processed and isolated, keeping in mind the standards set by GLP and GMP. The final quantity is 5-10 ml. It should be administered via intravenous route within 6-8 hours of its collection. As these Regenerative Tissue Therapy (cells) cannot be tested for bacterial infections, an antibiotic cover can be given before the therapy. The Regenerative Tissue Therapy (cells) are procured by a procedure known as apheresis. Apheresis should be carried out in an ambient environment by using a cell separator (Kobe Spectra or Hemonitics) that is well programmed to provide the desired Regenerative Tissue Therapy (cells) volume (about 200-250 ml of Regenerative Tissue Therapy (cells)) from the blood in a specially designed blood bag. An infusion with GM-CSF (in a dosage of 5 microgram per Kg weight in adults and 2.5 microgram per Kg weight in children) before the procedure ensures enhanced mobilization of the Regenerative Tissue Therapy (cells) from the patient’s bone marrow. The Regenerative Tissue Therapy (cells) can also be procured from any of these organs using sophisticated techniques that are to be performed in an operation theater under general anesthesia. Regenerative Tissue Therapy (cells) are then processed and isolated as per the standards recommended by GLP and GMP. The final volume of 5-10 ml should be administered intravenously within 6-8 hours of the collection. Since the collected Regenerative Tissue Therapy (cells) cannot be tested for possible contamination, providing an antibiotic cover is essential prior to the infusion. Different forms of progenitor cell populations like trophoblastic, mesenchymal, hematopoietic and different primitive Regenerative Tissue Therapy (cells) can be derived from the placenta and the amniotic fluid. Most of the placental and amniotic cells originate from the same source, the cell mass on the inside of the morula. In fact, several types of progenitor cells derived from these 2 sources have similar properties. The amniotic fluid and the placenta possess various progenitor cell types from the developing embryo such as the muscle, the fat and the bone. What are the Benefits of Regenerative Tissue Therapy Therapy? Regenerative tissue therapy, also known as Stem Cell Therapy,helps in the repair,healing and regeneration of damaged or injured tissues. It regeneratestissues that are injured due to meniscal tears, rotator cuff tears, ligament tears, tennis elbow and degenerative diseases such as arthritis and osteoarthritis. It reduces pain caused due to injury and improves performance. The treatment is performed in theoffice, under local anesthesia. This eliminates any risks associated with anesthesiaor surgery. How do I know Whether this Therapy is Good for Me? For this, you should consult your doctor if you suffer from any degenerative diseaseor have any type of joint pain. Regenerative Tissue Therapyallows the patient’s body to use it’s own cells for healingand repairing damaged tissue. Are there any Ethical Issues involved with Adult Cells? Not at all. Adult Regenerative tissue cells are not embryosand donot have the potential to develop into a human being. They reside within the bone marrow as well as the fatlayers,and exist in large quantities. Does the Therapy Involve any Side Effects? Regenerative Tissue therapy is an extremely safe procedure. Following a complete medical evaluation, our specialists determine whether you are theright candidate for this treatmentor not. A few patients might experience some pain and soreness during the post-operative period. Since fat and autologous blood is used, there are minimal chances of an allergic reaction. What’s the Difference between Cells from Bone Marrowand Fat? Both bone marrow and adipose cells belong to a type of adult cell calledMesenchymal Cells. Bone marrow derived cells are collected from the hipboneand adipose cells are collected through a mini liposuction procedure. The bone marrow cells possess a superior ability to repair as well as differentiate into ligaments, bone and cartilage.Adipose cellson the other hand have regenerative properties to produce new blood vessels, a process which is important for the delivery of nutrients and oxygen to the tissues. How do I know Whether the Cells are injected in the Right Place? We know that the success of any treatment depends upon a reliable delivery system. We put to use a simple injection in and out method, in order to deliver the cells. Also, our injections are all done under X-Ray (fluoroscopy) to visualize the site of injury as well as provide effective and accurate treatment. What is PRP and why is it used along with Regenerative Tissue Therapy? PRP is blood plasma which containsa high autologous concentration of cells known as platelets. These cells release growth factors as well as other proteins which promote healing of wounds in bone and soft tissues. When PRPis injected, the high concentration of platelets delivers a powerful dose of growth factors that helps to accelerate and enhance the repair and healingof tissues. In addition, these growth factors attract regenerative cells to the injury site. While injecting PRP, more than 1injection is recommended in order to maximize results. PRP is obtained using a safe and simple blood draw. For collection, special collection tubes are used and approximately 16 cc of blood is obtained. The collected blood is centrifuged using special equipment until the PRP is obtained. Following this process,PRP is ready to be injected or mixed along with fat for aesthetic enhancement. Is there any Special Procedure to prepare for when undergoing PRP or Regenerative Tissue Therapy? Prior to treatment, patients are encouragedto undergo a simple detox in order to prepare the body to be better conditioned for receiving the regenerative cells. Patients mustcease smoking and alcohol consumption at least 1 week before the procedure. An IV Vitamin Therapyis recommendedto clean the system oftoxinsand simultaneously infuse vitamins as well as minerals in the bloodstream. The vitamins are required by some cells to perform important functions. Possessing a good balance of such vitamins will improve the effectsof the treatment. When can I Resume Work and Routine Activities? The treatment is ambulatory. Generally, patients are sore during the first couple of days after the injection. They can resume work after 2 to 3 days, depending upon the site of treatment as well as the levelof physical activity required from patientsat their respective jobs. Is the treatment approved by the FDA? There is no clear protocol to treat any disease using adult cells in the U.S. With advancements in science and more research, the laws and regulations in the field of regenerative medicine have been changing quite rapidly. Even though the therapyis not regulated by the FDA, we ensue that we follow the standard regulations for patients’safety as well as safe laboratory practices.